People raise their candles as a commitment to contact their representatives on behalf of immigrants and refugees. 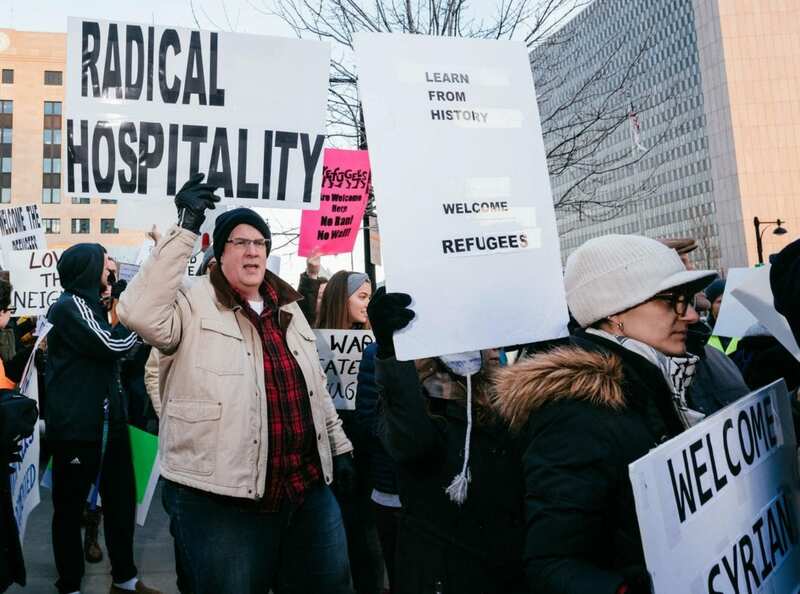 As it has across the country, the temporary immigration ban instituted by President Trump continued to reverberate through the Kansas City area over the weekend. 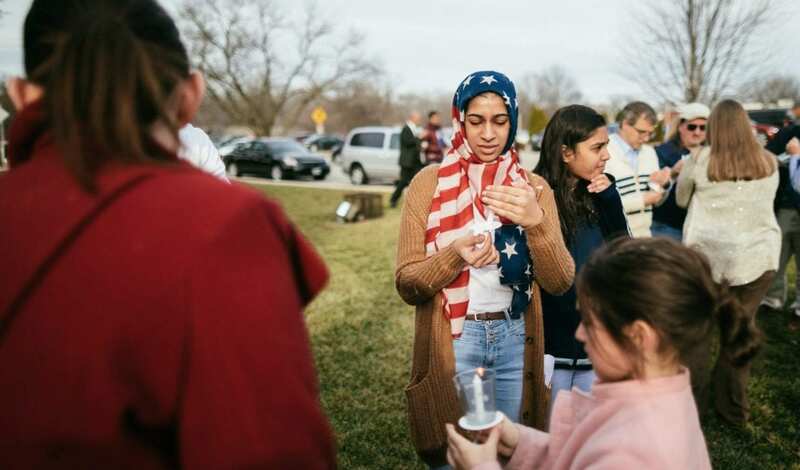 The activities, including a town-hall forum organized Saturday by U.S. Rep. Emanuel Cleaver, a Kansas City Democrat, came against the backdrop of a fast-developing story. A federal judge in Washington state suspended the ban Friday, and an appeals court early Sunday morning rejected the administration’s appeal of that ruling. 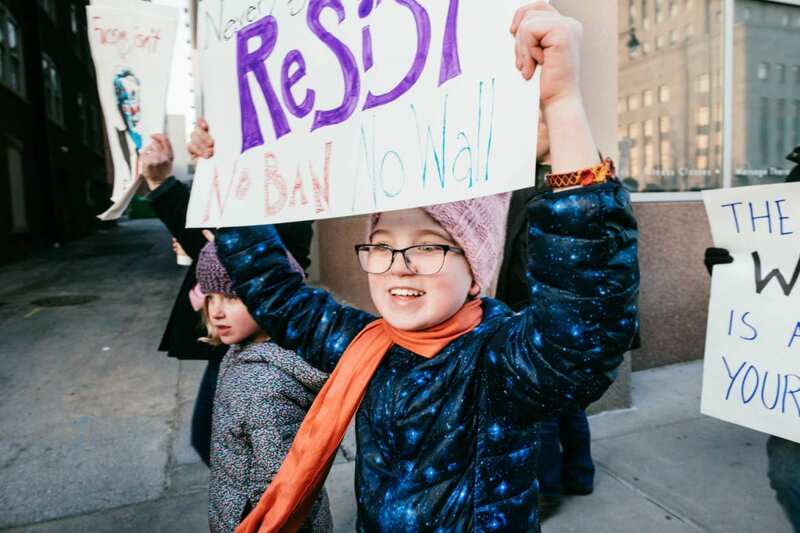 The order bars citizens of seven Muslim-majority countries — Iraq, Syria, Iran, Libya, Somalia, Sudan and Yemen — from entering the U.S. for 90 days. It also stops all refugees for 120 days and indefinitely halts refugees from Syria. Even before the court action, the administration eased restrictions on legal permanent residents initially caught up in the president’s Jan. 27 executive order. Flatland tracked developments in the Kansas City area through social media and with images captured by photojournalist Chase Castor, who attended the KC Rejects White Supremacy rally on Friday in downtown Kansas City and the KC Interfaith Vigil For Immigrants and Refugees on Sunday at Overland Park Christian Church, 7600 W. 75th St.
Marchers with the anti-white-supremacy rally gathered at City Hall. 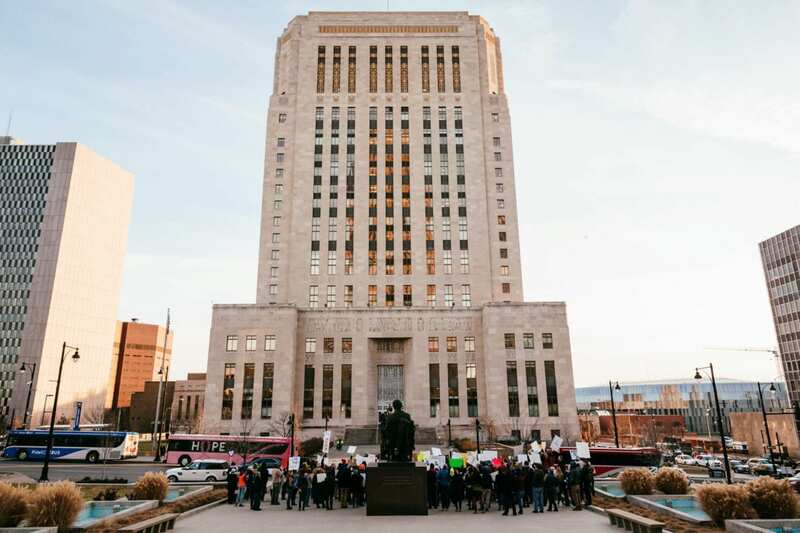 They demanded that elected officials "use the entire reach of their power to prohibit their cities' police departments from complying with federal immigration authorities." Rally attendee Randy Erickson, 50, says this is his first protest. "I've been Republican my whole life," he said. "This is no good. I don't want a white nationalist in the White House. I'm scared for my kids, I'm scared for the future of a great country." Emma Courtice marches with her sister and mother. 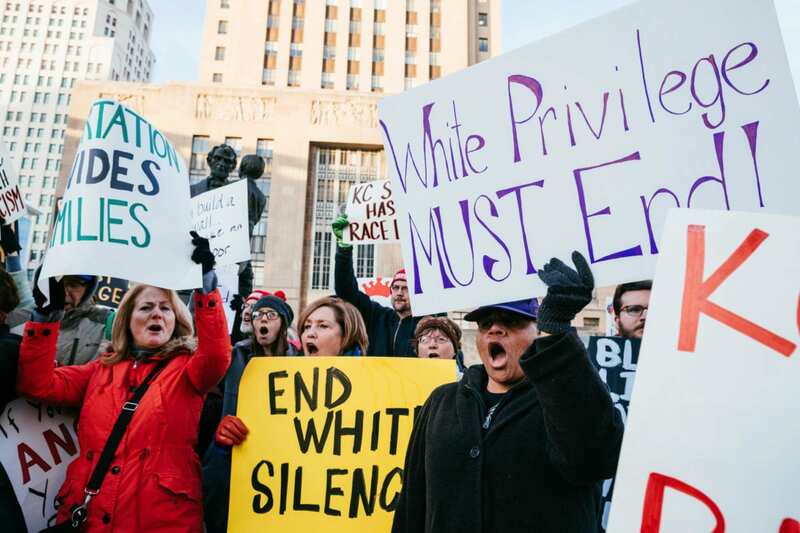 The theme of white privilege was prevalent at the rally. Lama Matthew Rice holds up a peace sign in the Overland Park Christian Church sanctuary. Rice was a speaker at the vigil and represents the Rime Buddhist Center & Monastery in Kansas City. Also pictured (left to right) is Pastor William Say, board member of KC for Refugees, Rev. 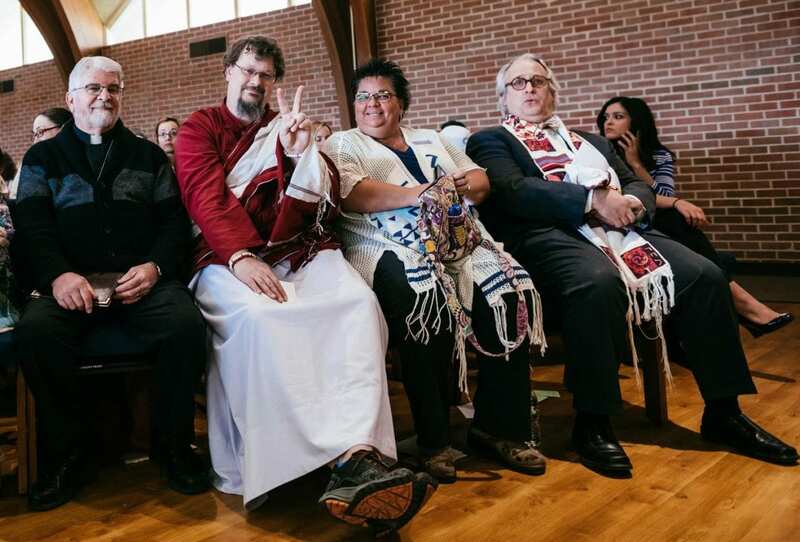 Kelly Isola, chair person of the Greater Kansas City Interfaith Council, and Rabbi Alan Londy of New Reformed Temple. 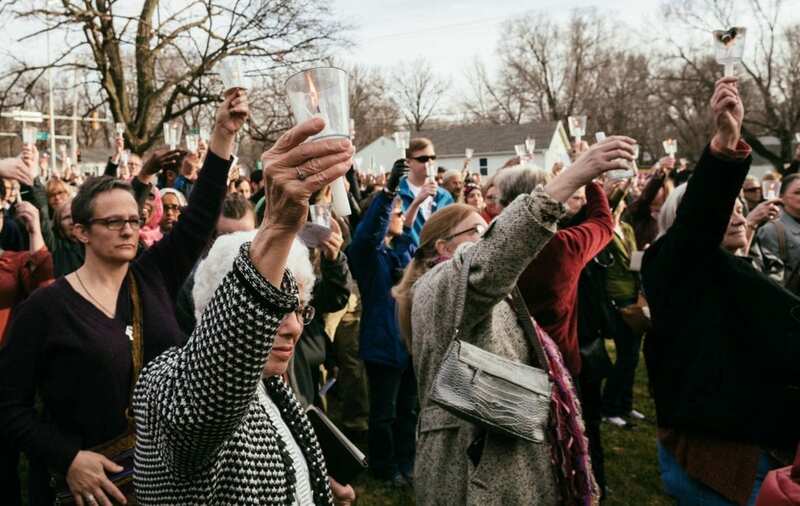 An estimated 1,000 people attended the interfaith vigil, with the overflow crowd spilling into the church's fellowship hall and into the courtyard. Inaya Khan shields her flame from the wind as people gather for the vigil. Medicine By Monthly Fee Expanding In Kansas: Is KanCare Next?